The American Heart Association reports that nearly 5 million Americans are living with congestive heart failure, with approximately 550,000 new cases diagnosed each year. Described as a chronic, progressive condition that typically worsens with time, it can affect either the left or right side of the heart or both. That diagnosis—heart failure—may sound confusing. How is one able to remain alive while in heart failure? Heart failure does not mean that the heart has completely stopped working and is no longer a functioning organ. Dr. Chinmay Patel with PinnacleHealth CardioVascular Institute. 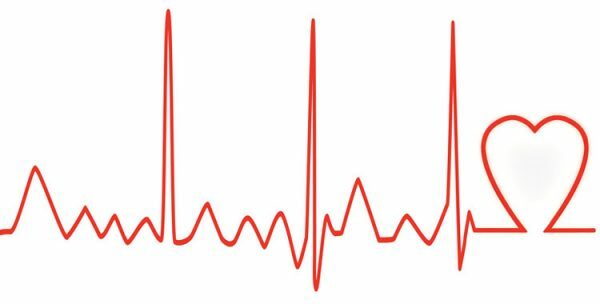 When the heart’s pumping function becomes inefficient and no longer works at full power, the heart’s rhythm or beats become irregular. This defective pumping function subsequently prevents the body from receiving its adequate supply of blood and oxygen, which, if left untreated, will gradually diminish a person’s quality of life. Patel says symptoms that may result from the heart’s inability to pump sufficient blood to satisfy the body’s need for oxygen can include shortness of breath, dizziness, leg swelling, fatigue, or lack of energy and the inability to walk long distances. Although not a cure, CRT, which is often combined with other treatments for optimal results, is an option worthy of consideration if a patient diagnosed with congestive heart failure meets the suitability criteria. 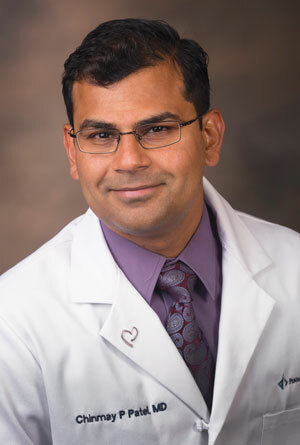 When a heart is normal and healthy, Patel says its conduction system keeps the blood-pumping function synchronized by a coordinated spread of electrical impulses that use specialized electrical pathways, originating from the heart muscle. This anomaly in the conduction system can be identified with an EKG. He says if the EKG indicates that the patient is in congestive heart failure with reduced pump function (also known as ejection fraction), accompanied by a cardiac conduction/electrical system abnormality, then he/she may be a candidate for cardiac resynchronization therapy. So how does this half-dollar-sized device, which is usually implanted just below the collarbone, help “sync” or re-coordinate the heart’s pumping action? Depending on the type of pacemaker used, there can be one to three leads. As with many treatment options, there are also risks to consider with CRT. Pacemaker implantation is categorized as an invasive procedure, and because of that Patel says there is a 1-2 percent risk of complication. These possible complications include damage to the lung, cardiac chamber perforation, fluid around the heart, lead dislodgement, and risk of infection. Depending on the type of pacemaker implant, the procedure itself can last from 45 minutes to two hours, with “patients typically kept in the hospital overnight,” says Patel. Patients can expect moderate pain or discomfort, lasting anywhere from 24 hours to a week. Those in recovery are advised to “limit lifting weights and restrict specific movement of the side where the pacemaker was implanted for four to six weeks, and after that, there are no specific restrictions,” he says. Many patients who have undergone CRT, also called biventricular pacing, report improved walking distance and an increase in energy, along with a reduction in shortness of breath. As a result of CRT, numerous patients have been able to reclaim their independence with an enhanced quality of life, thanks to this technology that provides additional support to the heart. Patel says that CRT has also been shown to reduce heart failure hospitalizations, in addition to helping patients live longer. He says that’s because the lead is generally considered to be the weak link in the circuit.